Little's Glass Sipper is armed with Thermosensitive silicon coating, the very first in India! Composed of Borosilicate Glass this shatterproof sipper doesn't let the liquid spill out. It has a sensitive silicone coating that changes color according to the temperature in the bottle. 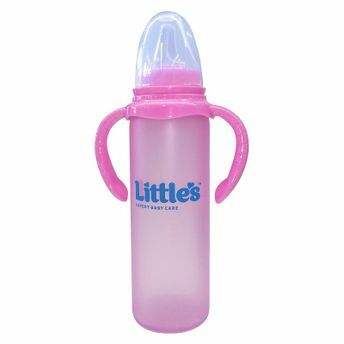 With its soft flexible silicone spout and spill proof cross cut technology this sipper is easy on your child's mouth, while the twin handles have the perfect grip which are removable.